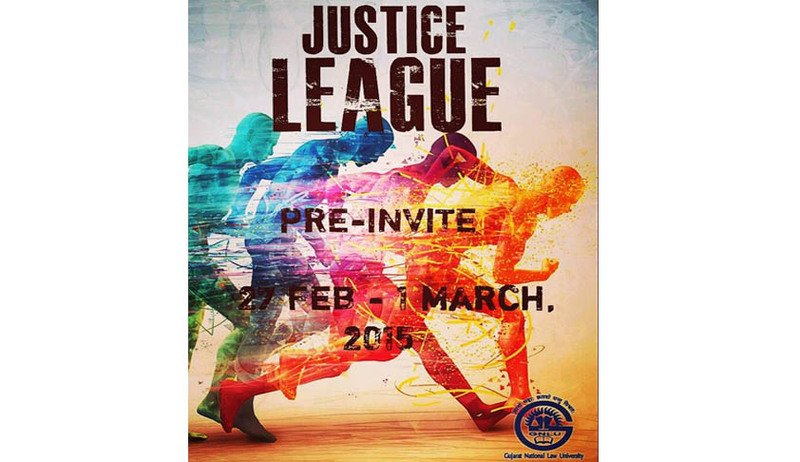 The Sports Committee of Gujarat National Law University conducts “Justice League, the annual sports fest to be held from 27th February to 1st March, 2015. In the previous edition the fest was a grand success and they had participation from more than 15 colleges including IIM-A and IIT-G. In this edition they have jumped from 11 events to 12 events for both men and women, with kabaddi as the new sporting entry. There will be a sizable cash prize for all events including an Overall Cash Prize. “Justice League' 15 is expected to be filled with a lot more competition which is bound to bring you an adrenaline rush! With this we assure a bigger stage of high voltage sporting action on the fields and the courts. And if you think this is enough, well not yet! There will be a bunch load of exciting Add-Ons about which we will give you more information in our Formal Invite. We promise that you will not be disappointed by your trip to Modi land. The Rules of the Game, Confirmation Form, Contingent List Form and all other Registration details will be sent to you by the second week of January, 2015 in our Formal Invite”.